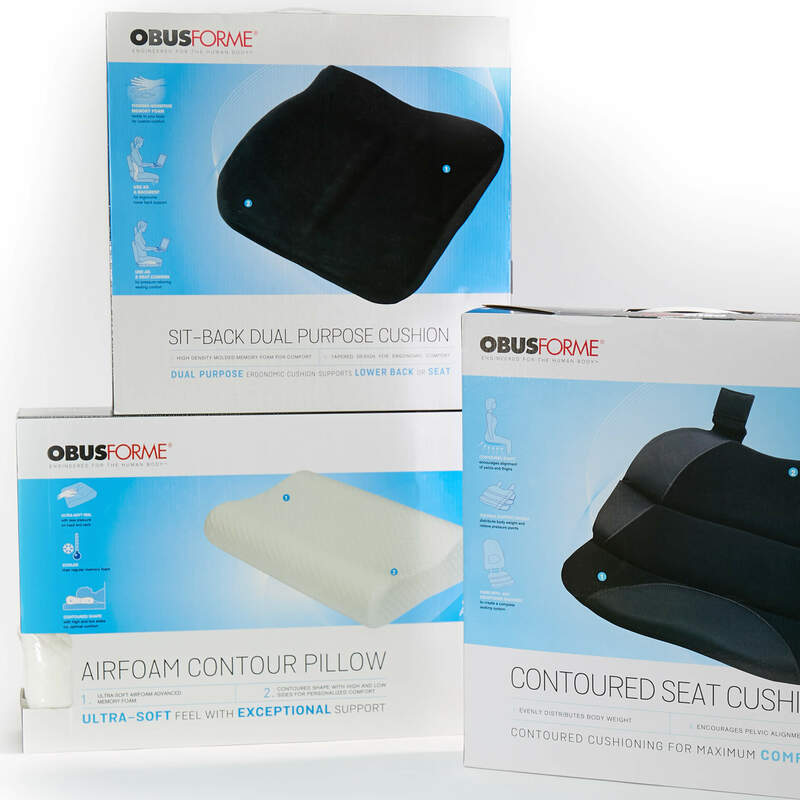 ObusForme has led the industry for years with their medically engineered line of products designed to give comfort and support to the human body, making them the trusted, go-to brand for millions of chronic pain sufferers. The brand is highly recognized in Canada for delivering palpable results that enhance the quality of everyday life. 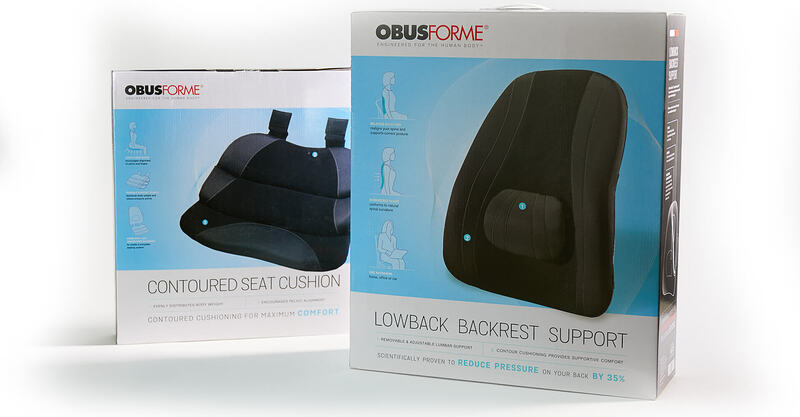 Despite their industry-leading success and brand awareness, ObusForme was looking to broaden their market reach. Their current product packaging lacked emotional cues and centred around the negative connotations of the product; mainly the consequences of chronic pain suffering. This inadvertently gave the ObusForme brand a dark, moody, and strictly clinical feeling that was working against their product line’s beneficial objectives. 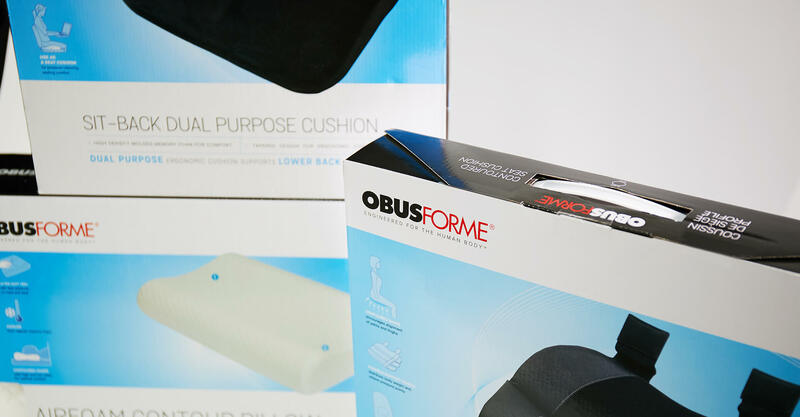 Suffering from same fate as many expansive brands, ObusForme also lacked a consistent hierarchy of communication across its diverse product line. 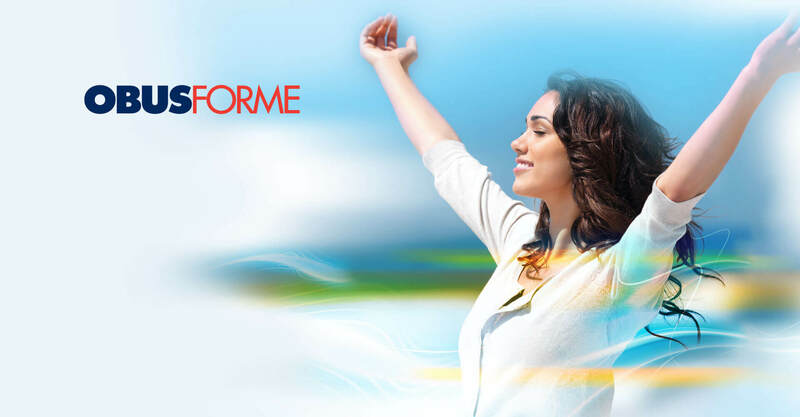 We were to help Obusforme establish a strong, uniform positive standard across their portfolio that would extend ObusForme’s market appeal and foster continued success. 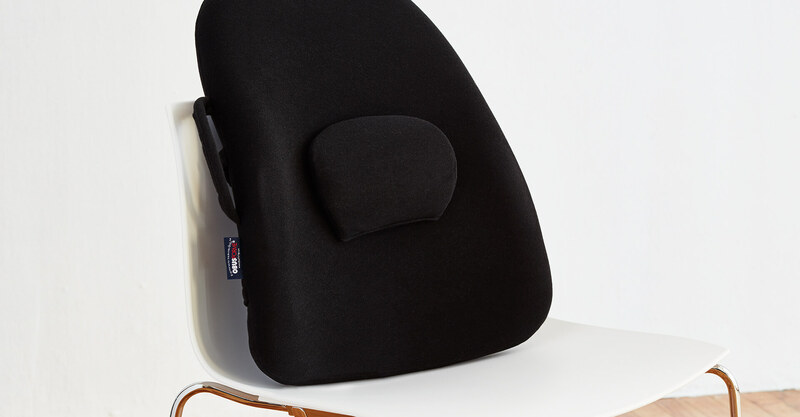 We were initially engaged by ObusForme to redesign and revitalize the packaging of their back support and pillow products, and they quickly realized that a full refocus of the brand’s positioning was in order. After an extensive discovery process, Jump decided to realign the packaging to support the benefits of product use. Displaying the freedom of motion, positive imagery is employed to underscore the aspirational lifestyle of people benefiting from Obus Forme products. This new positioning is complimented by a calming colour palette of blues, yellows, greens, and white to give the layout of the package a natural, flowing feel. In striking a balance between physical and emotional attributes, the science and engineering aspects of the product are now displayed in the bottom third of each packaging format. Retaining the technical feel, the new packaging clearly communicates the functionality of the products and their medical credentials. The new positive brand alignment broadens the appeal and emotional impact by engaging not only current users, but also those looking to take proactive steps to maintain their healthy lifestyle. With a packaging design setting the foundation for a positive new brand identity, Jump’s work results in the perfect harmony of function and comfort, mirroring the product inside. The new unified packaging has further provided the standard for third party vendors to roll-out the packaging program with consistency.